Accelerator is a new 3-year Imaginate project offering mentoring, producing support and performance opportunities for artists to create new theatre and/or dance works in progress. Accelerator will allow artists to develop an idea for a new production, present it as a work in progress to potential partners (venues, festivals, funders) and find funding to take it to full production. The invaluable support, knowledge and advice of the Imaginate team combined with the freedom to manage the production idea in the way that worked best for us. Imaginate are both wonderfully hands-off and brilliantly hands-on at the same time, offering support that truly puts artists and their development first. I believe that this is an ideal environment in which artists can truly develop their best work with the utmost freedom to grow a project whilst being financially secure and able to draw on expertise. A budget for their own time with a small production budget to research and create a work in progress. Support from Imaginate’s Producer and Creative Development Director to articulate their idea, support the work-in-progress presentation, identify potential partners and write a funding application to take the work to full production. There will be further support from the wider Imaginate team to incorporate advice on programming potential, marketing, finance & budgeting and introductions to contacts within the sector (UK and international). 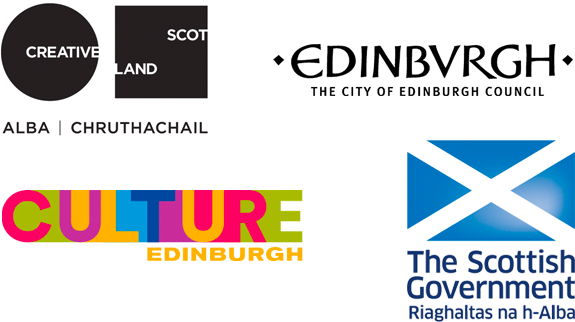 Access to opportunities and events within the creative development programme including seeing work at Edinburgh International Children’s Festival. Feedback will be given at points of development when this would be useful. It could be from the Imaginate team, other industry colleagues, groups of children or young people and artistic peers. Support to find the right context and event to present the work in progress. Potential partners – programmers, funders, producers - will be invited to see it with the explicit intention of finding further support. In early 2019, we had a call out for an Accelerator (new writing) artist to support a playwright in developing a new work for young audiences. The selected writer is Skye Longeragan. We will call out again for Accelerator artists in summer 2019. After an open call out, two Accelerator artists were selected by a panel made up of Imaginate staff, industry colleagues and freelance artists. Peter Lannon and Niroshini Thambar will both develop a new work in progress for young audiences between September 2018 - May 2019, click on their links below for further details. If you would like to find out more about this project please contact Fiona Ferguson, Creative Development Director.